Recently I was invited to a media launch by Julie's where they're gonna be sharing about their up and coming new product. 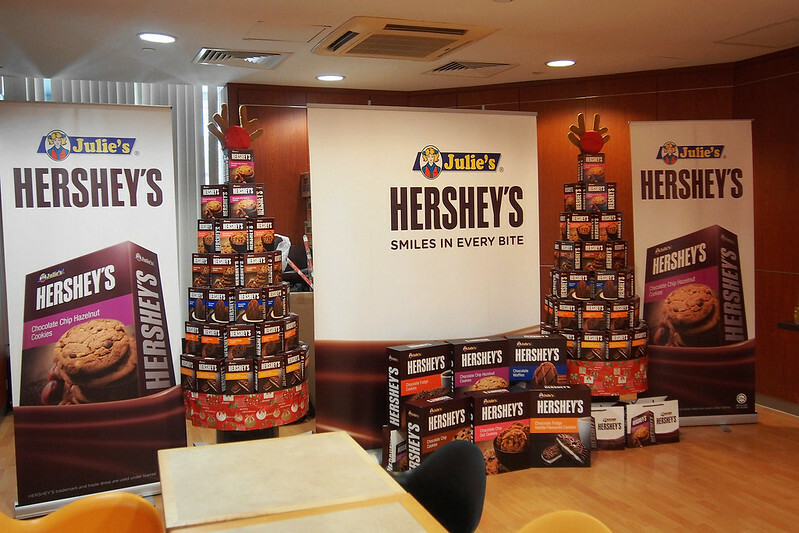 In collaboration with Hershey's, Julie's has come up with a new product line called Julie's Hershey's. 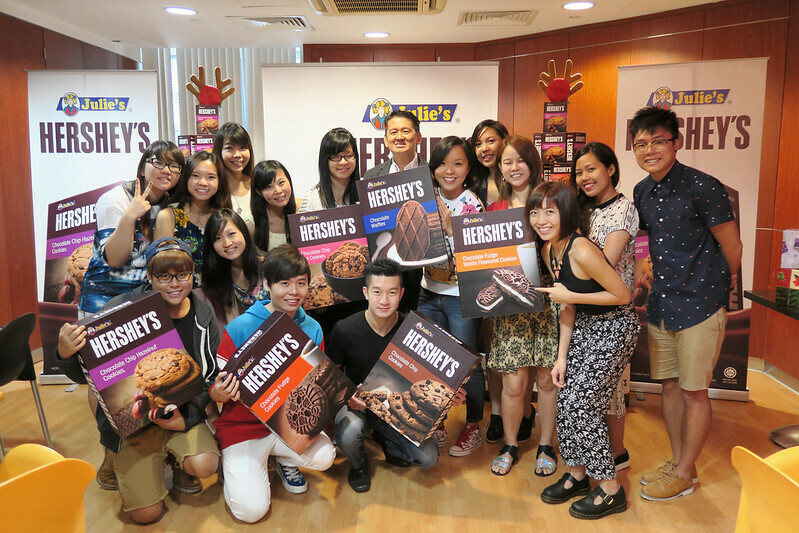 The event was held at Spinelli located at Habourfront Tower 1. As it was near the Christmas season, the people from Julie's made the effort to decorate the place itself. 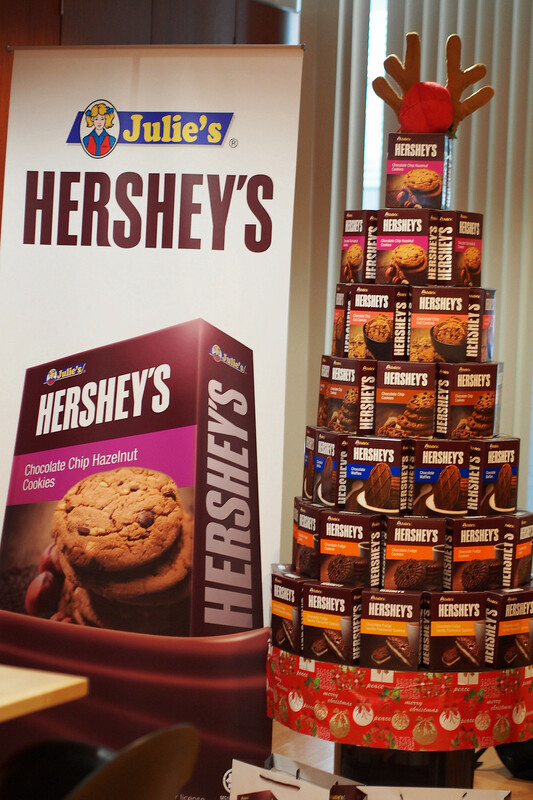 They even made a Christmas Tree out of the Julie's Hershey's boxes. Hahah! 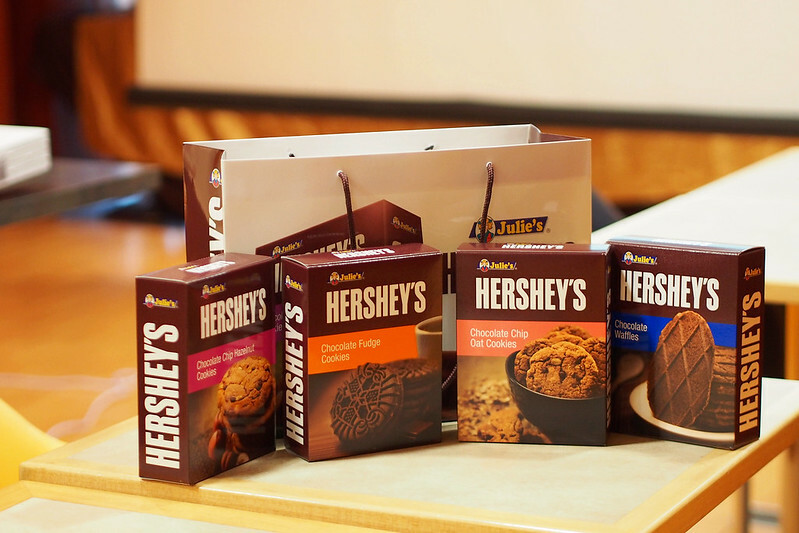 But I'm not too sure about the flavors that are available now (currently) in the market, but I was told that the Chocolate Fudge Vanilla will only be in the market next year. 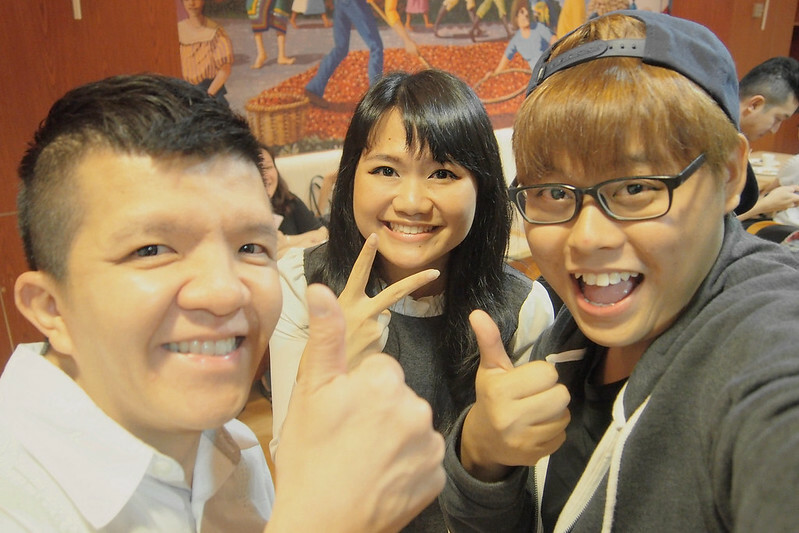 Mr Martin, the director of Perfect Food Manufacturing was also there at the event despite his busy schedule. 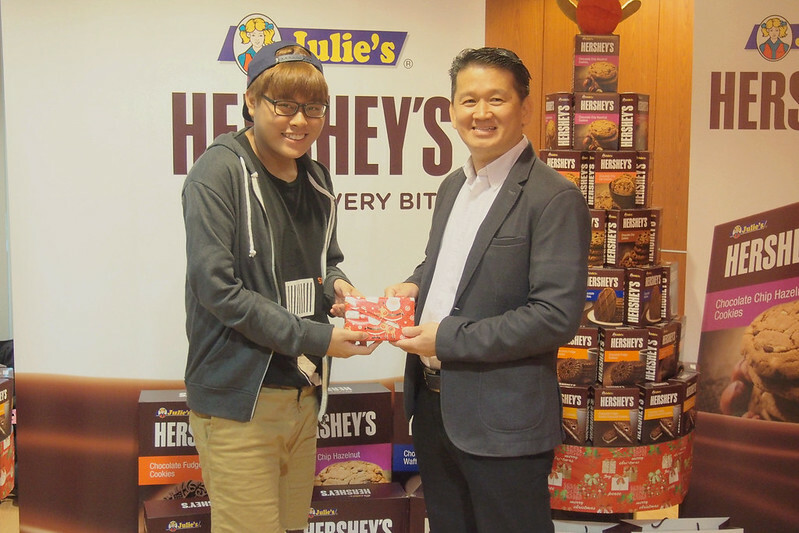 he wanted to be at the event to tell us about how Julie's and Hershey's came to an agreement on the partnership. The people from Julie's are also pretty nice, they gave each of us a bag Julie's Hershey's goodies during the event and some of us even got something extra. Hahah! There was also a instagram contest held during the event. The person who has the most adorable, cute and happiest smile will walk away with a prize. And to my surprise, I was one of the winner for the contest.